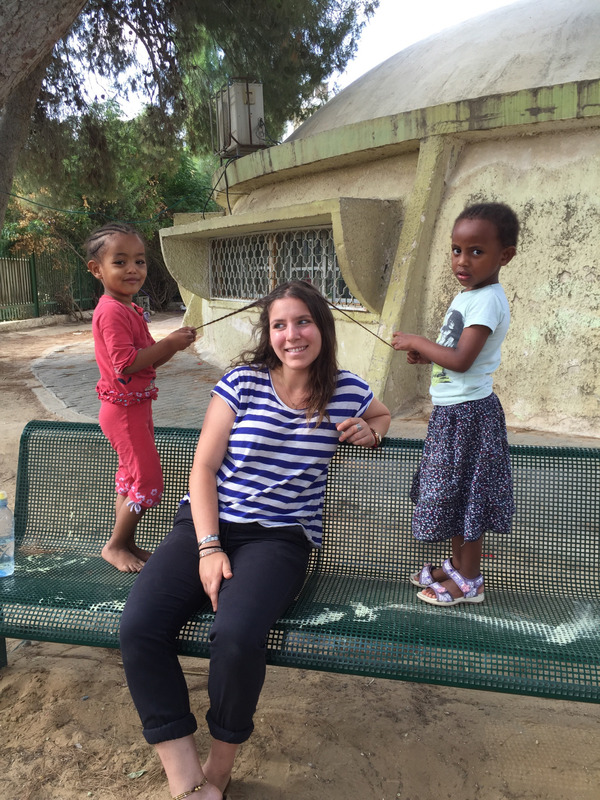 Today’s participant blog post comes from Rachel Kutcher, a participant of the Yahel Social Change Program. 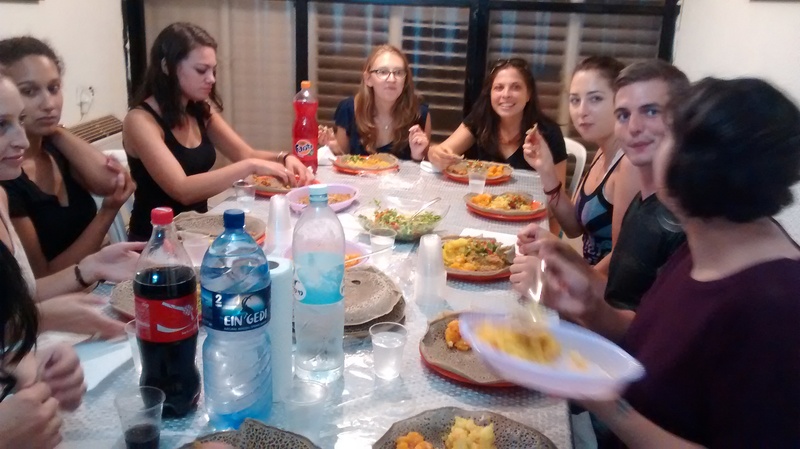 This group is living, learning and volunteering in the Ramat Eliyahu neighborhood of Rishon LeZion for 9 months this year. When asked about my goals for this year I generally list a number of thoughts concerning social justice, personal connections, Jewish identity, relationship with Israel, etc. These are all genuine goals, but the truth is that right up there with these complex learning topics, one of my top goals is to learn to make a great batch of injera, the fermented flatbread made from teff flour that serves as the basis for most Ethiopian meals, and all the delicious lentil and vegetable dishes that go with it. I developed a great love for Ethiopian food several years ago, but I’ve learned through trial and some great big errors that injera in particular is not so easy to learn to cook without instruction. For me growing, preparing, and sharing food has always been a powerful way to connect with people and cultures. Throughout my travels, some of my favorite memories are dominated by cooking experiences, often bridging gaps in language, culture, and economic status. 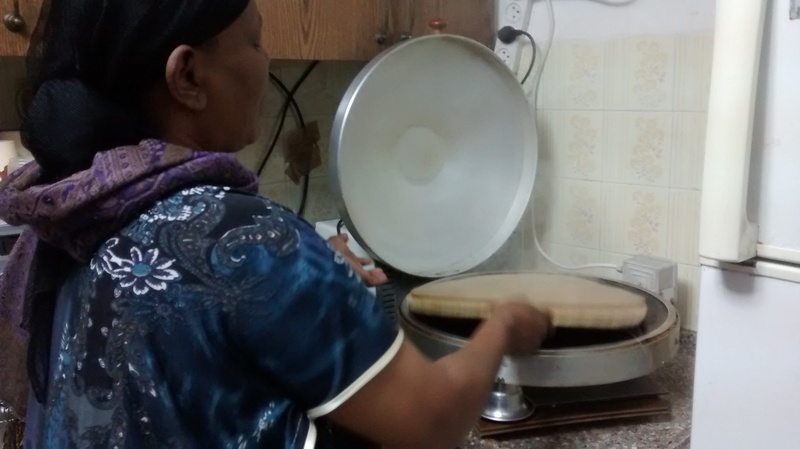 So, upon arriving in Ramat Eliyahu I wasted no time in making my desire to learn to cook Ethiopian food known. 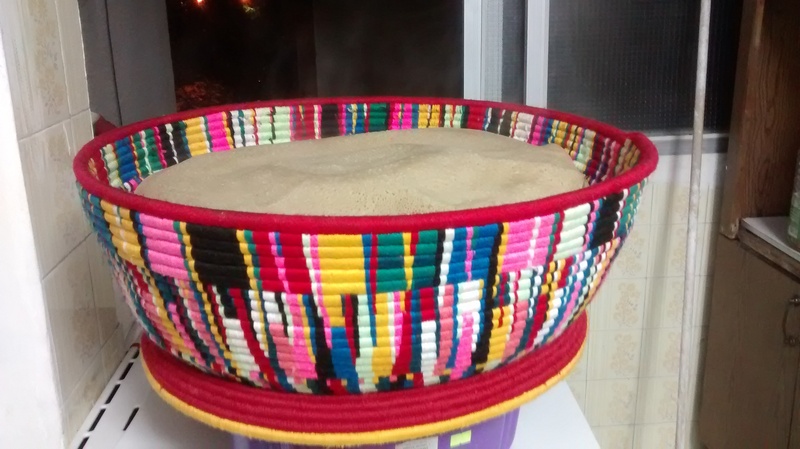 Ethiopian food culture is centered upon communal practices. Traditionally, food is served on a large platter off of which everyone eats together. You are expected to eat what is in front of you and not reach over the plate to take food from others. You should not eat faster than others to ensure that you do not eat more than your share. In my experiences in Ramat Eliyahu thus far, the extent to which these customs are followed varies from family to family. 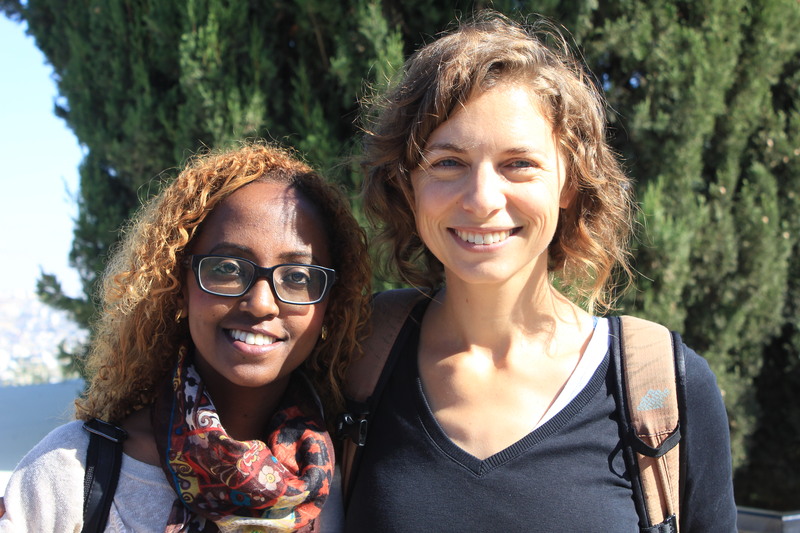 During a recent Yahel Learning Session, Nir Katz who co-founded Friends by Nature, a non-profit organization dedicated to the integration and empowerment of Ethiopian Israelis, mentioned something that I think is critical to our work here. He said that in Ethiopia there is no government safety net, no social welfare services for those in need. Your safety net is the people with whom you eat and the bigger the injera, the bigger your safety net. I see these communal aspects of Ethiopian culture as a significant community asset, a foundation for social support networks (social capital) that provide emotional support and practical resources. What other communal resources and functions were central to the Beta Israel communities in Ethiopia? 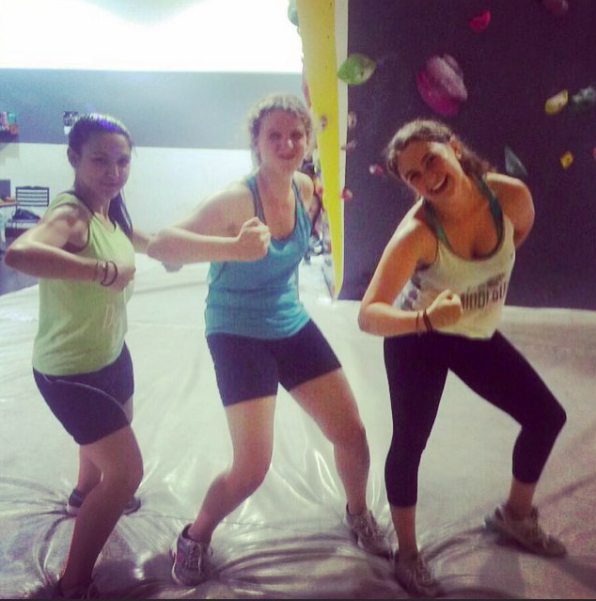 How has the transition to Israeli society and culture impacted social support networks? What aspects of Ethiopian culture are sources of resilience in this transition? As for my culinary education, it turns out that much like other aspects of integrating into this neighborhood, getting cooking lessons takes a bit of persistence and creativity. In the past couple of weeks I have received a couple of small lessons. Each of these experiences has increased my interpersonal connection with my host mother and the family of a child I tutor, and has provided an incredible basis for non-verbal communication and learning. However, I’m still a long way from being able to prepare an Ethiopian feast or to answer the questions I’ve posed above. 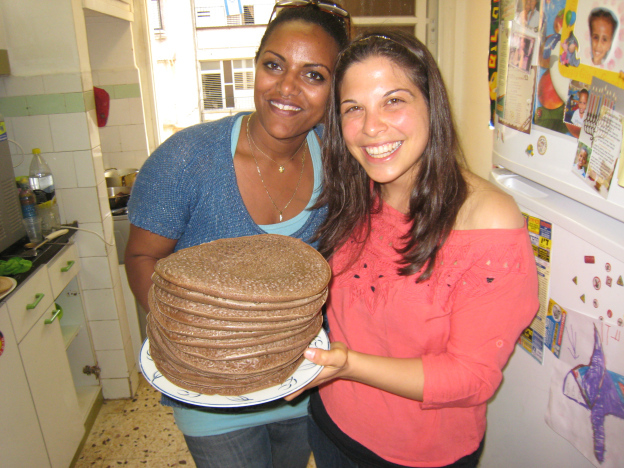 Dana, Yahel’s Director, has suggested to me that I tell local families that I have to write about preparing injera and other Ethiopian foods for a Yahel project and need their help in order to successfully complete it. And so dear Yahel followers, I hope you don’t mind that I’m using you as my excuse to continue begging for cooking lessons. In exchange for your cooperation, I promise to update you on my progress and perhaps share a recipe in a future post. I think it is a great way to get to know the community. As you stated you can tell a lot about a culture through its food and customs of eating. I think it was so cool how you talked about the sharing of the injera and how it relates to the safety net of the community. I will be interested to see if a cooking recipe pops up in the future. Good luck on your year of community service and learning. 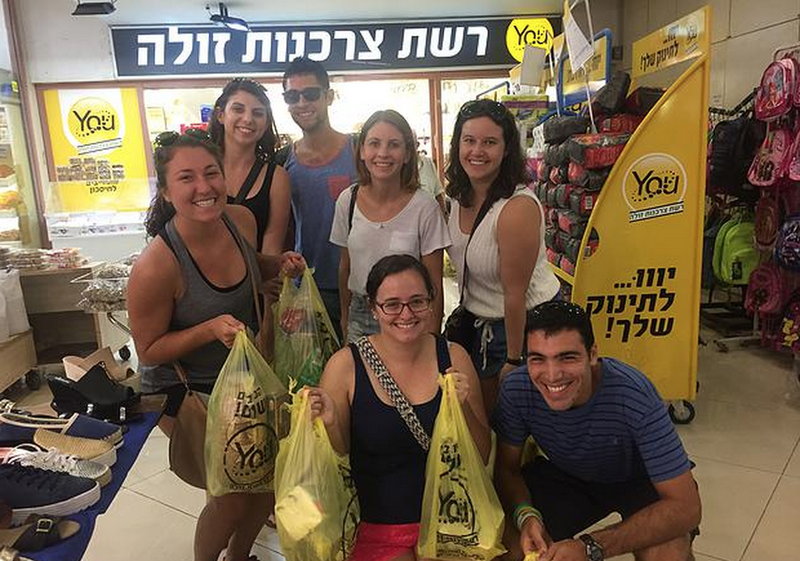 I work for the aliyah department in New York and would love to share this story with our olim as they transition to a new life. Although American culture isn’t darastically different than israeli i think it is comforting to know that you can still preserve who you are and thrive in israel.